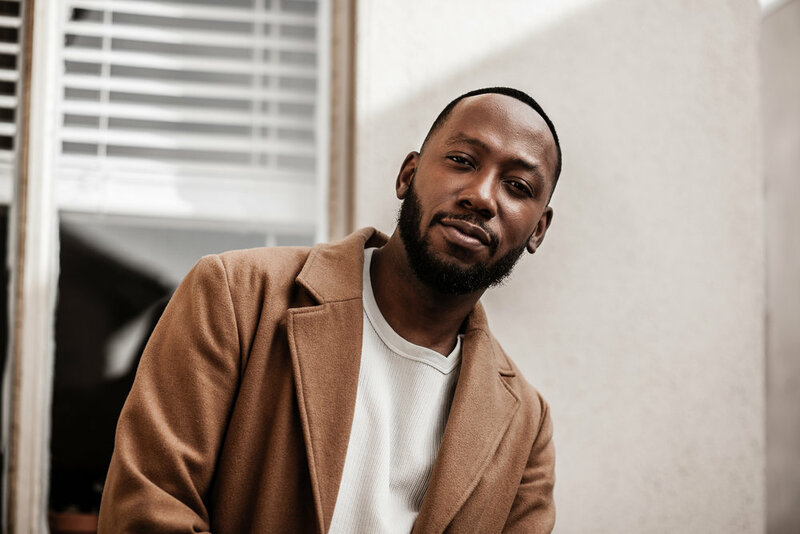 For nearly seven years, Lamorne Morris has been making us laugh. He’s become a staple in our homes playing Winston Bishop—the puckish 30-something bungler on FOX’s hit series New Girl. Over the years, we’ve watched Winston botch relationships, transition careers, belt tunes from Wicked, and wig out from a sip of a fruity drink. He’s the impulsive, oft-crazy friend we all secretly relate to, and he’ll be missed when the show concludes after its seventh and final season this spring. Prior to the release of his upcoming film Game Night, the Chicago native chatted with The Laterals about New Girl’s final season, his burgeoning rap career, and his thoughts on the changing landscape for actors of color. How did it feel shooting the series finale of New Girl? Has it all sunk in? It was a bittersweet week: trying to focus on the work, while simultaneously trying to soak in every last moment. Since we’re such a close cast, it was a bit sad, counting down the days until the end. It was also cool to see a bunch of old faces popping in and out to say farewell to the best cast assembled on television ever! Ever!!! It hasn’t completely sunk in yet. I feel like I'm on hiatus right now. In 6 months, when I don't have to report to set, is when it’ll really sink in. You recently directed an episode of the show. How was that experience? Was that something you’ve always wanted to do? Yes, I did! It was such a rewarding and eye-opening experience to direct the show. Being in front of the camera for so long allows you time and understanding of what goes on behind the camera. A ton of preparation goes into shooting an episode, most of which happens when you're not on set, so I've developed a newfound respect for the work a director does. It’s definitely something I’ll be doing again. Winston is notorious for pranking. What’s the best prank you’ve ever pulled? I’m a grown man. I don't pull pranks. I just lie a lot! I like to convince people of strange facts about me that aren't true at all. I once convinced someone that I was Australian. I spent the whole day speaking in an accent, and the person was so confused. I do it at Starbucks, the carwash—any place where I have to interact with strangers. It keeps me entertained. If season 7 Lamorne could offer some advice to season 1 Lamorne, what would it be? Be confident. Embrace the weird. Invest your money. Don’t listen to Jake Johnson. Why do you think New Girl has resonated with so many audiences for so many years? The chemistry amongst the cast. It’s real life in so many ways. Tons of people can relate to the roommate situation. They feel what the characters feel because they've been through it. Another reason is because the writers do an amazing job of painting that picture for the audience. Our writers, led by Liz, Brett and Dave, are the real MVPs. What do you think you’ll miss most about Winston? Nothing. I live with him every day. He is I, and I am him. Can you tell us a little bit about your upcoming film Game Night? It’s about a group of couples that get together weekly for game night. This week in particular is a big murder mystery party they have to solve. It’s up to them to decide what’s real and what’s not. My character is married to the lovely Kylie Bunbury. While playing a drinking game, I discover an unsettling fact about her. Needless to say, my mind is preoccupied as we’re trying to solve the murder mystery. What do you think the biggest change in your life has been since starting New Girl? I’m more calm. I used to be so anxious about what was next. Now, I feel a bit more seasoned and in control of my career. It’s now about choosing the right job. Also, I'm not poor anymore, so there’s that. Homie Steve is one of the dopest rappers out there. I’m a huge fan. His ability to spit bars and make you laugh, all while making love to every woman in the city, is amazing. He’s the man. I wish I could be more like him. If you see him, tell him I said hello. Youtube his videos. You won’t regret it! Do you think the industry has progressed in terms of representing actors of color? I think it’s progressed, but there are still miles to go. More and more, we’re seeing our voices heard. Creators like Jordan Peele, Issa Rae, and Donald Glover, just to name a few, are really moving the needle in that department. It’s a big reason why I want to create more. I’m a writer as well, so I'm interested in developing vehicles for myself and my friends to be a part of. If I feel like my voice isn’t being heard, I need to create. What’s next? Is there still something on the acting bucket list you’d like to cross off? The world is my oyster! I have a few movies we’re creating that I'm excited about. Stay tuned for that. I also have an album coming soon: The Lamorning After Pill. As far as the bucket list? Action-comedy. I'm working on that now, so it’s being crossed off as we speak! Another from the bucket list is the opportunity to play Flip Wilson, a comedic legend. I truly feel there isn’t anyone better for the job than me.